With Twitter, Facebook and instantaneous news, the easiest thing in the world is to trash someone, to impugn their motives, criticize what they’ve said or done. The judgment rendered is out there, multiplying like a cancer cell. 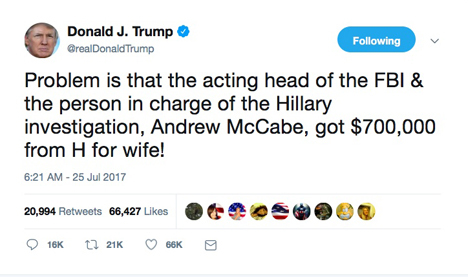 Millions of Americans know Andrew McCabe mainly because Donald Trump’s idea of Andrew McCabe propagates larger than life. To so many Trumpists, he’s just another Deep State traitor determined to undo the people’s choice for president—husband to Jill, who took money from “lock-her-up Hillary” to run for office, all while her FBI husband was “supposedly” investigating the Clinton email scandal. Talk about traitorous. 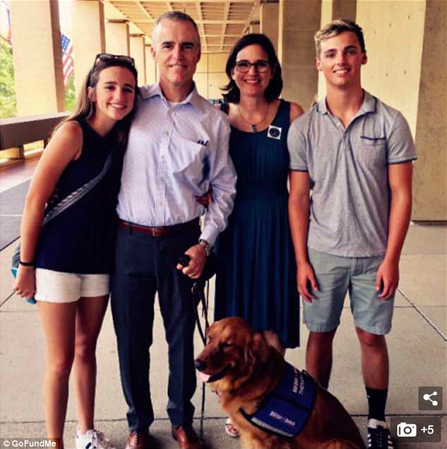 In reality, from February 2016 to January 2018, Andrew G. McCabe served as deputy director of the Federal Bureau of Investigation, replacing Jim Comey. Like his predecessor, he earned the wrath of our president, who didn’t appreciate that the FBI was deeply disturbed by and was investigating his campaign’s ties to Russia. Somehow in our upside-down world, millions of Americans believe a bone-spur president who never held a real job and was given a $200,000 allowance at the age of 3 rather than war heroes and hard-working lifelong law enforcement officials. 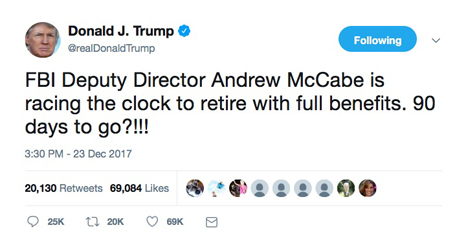 The real Andrew McCabe worked his way up the ranks investigating and preventing organized crime. He began in New York, stopping gangsters who had emigrated from Russia to extort and blackmail local merchants. Promoted because of his good work, McCabe participated in and then led efforts to stop critical terrorist attacks. He played vital roles in the London airline bomb plot, the Underwear Bomber case, the Boston Marathon terror attack. In any world other than Trumpovia, he’d be regarded as a hero, repeatedly thanked for the lives saved, for the countless hours, days, and years he worked for the American people. Instead, he and his wife have been vilified in the public square by a man so less brave, so less dedicated to true public service. “The Threat” offers the reader a chance to learn about the real Andrew McCabe. “The Threat” offers a detailed and balanced look at what life is like at the FBI. It’s an unvarnished portrait, for McCabe has learned along the way the critical value of owning up, acknowledging mistakes—partly because they are unavoidable when it comes to gathering intelligence and trying to stop crime, and partly because hiding and lying about mistakes always seem to backfire. McCabe is acutely aware of the stakes involved, both personally, as he tries to rescue his reputation, and politically, because the agency he dedicated his life to is under constant attack. The ironies are often overwhelming. This supposedly Republican administration cozies up to despots like Vladimir Putin, countenances Kim’s torture of an American student in North Korea, then pampers the Saudi despot who ordered the dismemberment of a distinguished Washington Post journalist, all the while ignoring at best and humiliating at worst our law enforcement and intelligence agencies. But Andrew McCabe has spent his life on the front lines and appreciates the stakes in a way most of us can’t. His passion is matched by his sense of urgency. It says something when some of the toughest folks in the land—FBI officials, former CIA officials—are frightened. And quite honestly, I didn’t quite appreciate why McCabe called his book “The Threat” until I had heard his story. 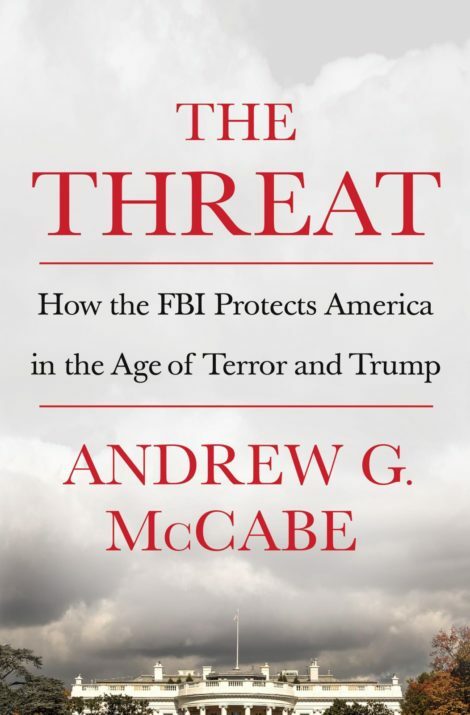 There is so much that is important, fascinating and illuminating in “The Threat.” McCabe is a talented storyteller, always willing to acknowledge the gray between the black and white. He teaches, entertains and brings the people he works with, meets, even confronts, to life. His portraits of Rod Rosenstein, President Trump and Attorney General Sessions, for example, are fascinating. Each of us has to decide whether to believe or dismiss those who tell us stories. Like jury duty, you look, you listen, you make judgments as you decide who or what to believe. The more I read, the more I came to believe and appreciate Andrew McCabe. Thus begins a chilling portrait of the bully who is our president: “The president was behind the massive Resolute desk … He stood up and came around to the side. We shook hands. The White House counsel, Don McGahn, was there, and the chief of staff at the time, Reince Priebus, and Vice President Mike Pence. None of them said a word. No one was sitting comfortably in couches or armchairs. A row of little wooden chairs was lined up in front of the president’s desk, and the three men were seated in the chairs like schoolboys who’d been called to the principal’s office. One chair was empty, and I took it. “The president asked if I knew that Comey had told him three times that he himself was not under investigation. I said I was aware of that … A question was in the air: had I disagreed with Comey’s decisions on the Clinton case—mainly, Comey’s conclusion that Hillary Clinton should not be charged with a crime. I said, No, sir, I didn’t. Jim and I worked together very closely, and I was a part of those decisions. “He spent most of this meeting spewing stock phrases he often uses—You’re great, you’re terrific—all of which rang hollow … Then he said, Your only problem is that one mistake you made. That thing with your wife. That one mistake … He said, Yes, that was the only problem with you. You know, I was very hard on you during my campaign. That money, from the Clinton friend—I was very hard, I said a lot of tough things about your wife in the campaign. Andrew McCabe got the Michael Cohen treatment: the repeated imposition of a narrative that is patently false, a constant barrage designed to make you agree with him. Looking for insight into today’s ongoing Mueller investigation, here’s McCabe, now running Operation Overt for FBI Director Mueller. Is there a U.S. connection to a London terror cell? Abdulla Ahmed Ali, discovered by MI5 during their investigation of the attack on the Underground, travelled to Pakistan. There he spent time with Rashid Rauf, learning to build liquid bombs with common chemicals like peroxide, hexamine, citric acid; bombs that could be detonated with AA batteries. Then, back in England, he began experimenting building devices. McCabe writes: “By now, British investigators had cameras and microphones in the apartment where the experiments took place. Around the country, some twenty other subjects were being tracked. The conversations were sobering. After one young father took a child to play in a park on a weekend, he was overheard struggling openly with the knowledge that when he became a suicide bomber, he would never see his child again. He and his associates were forming a plan to take bombs on flights from London, we believed, to the United States, and then to kill themselves and everyone else on those flights. “Mueller leans forward only when frustrated … If he leaned forward, looking at the chart, and then smacked the side of his hand against his head—then it was all over … When the hand hits the head, Mueller is not with you. Does not put faith in what you’re saying. Or is just not following. You have not communicated a good position effectively. There’s much to be learned as McCabe talks about the High Rise case in Denver. 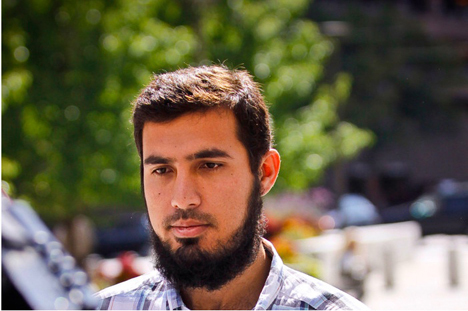 Najibullah Zazi, the 24-year-old Afghani, was raised in Pakistan then moved to Flushing, Queens. 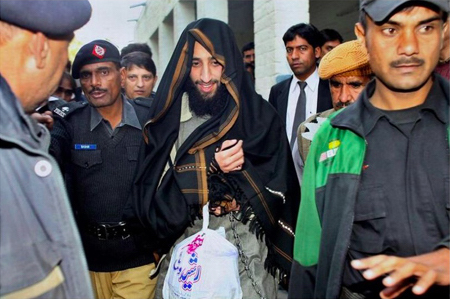 He and his friends trained in Pakistan, then planned to detonate homemade bombs in the New York Subway on Sept. 11, 2009. We learn how McCabe helped to transform the chaos of a highly complicated and possibly deadly emergency into a coordinated and effective investigation. And we experience the art of effective interviewing. Donald Trump’s 2016 campaign endorsed torture, Guantanamo, and criticized trying foreign terrorists in normal criminal courts. And the appointment of Jeff Sessions as attorney general moved these issues from theoretical disputes to matters of policy. Re the real case of Spin Ghul, an al-Qaeda terrorist who killed two Americans in Afghanistan, then escaped prison in Libya. Until he was captured by the Italians who wouldn’t release him to us unless we agreed not to send him to Guantanamo. George Toscas, the deputy attorney general in the National Security Division, decided that trying Ghul here in the United States was not only an effective strategy but necessary to keep the Italians from releasing him. Sessions was furious. Jim Comey, now the FBI director, briefed Sessions. “Described the differences between the Sunni and Shia practices of Islam. 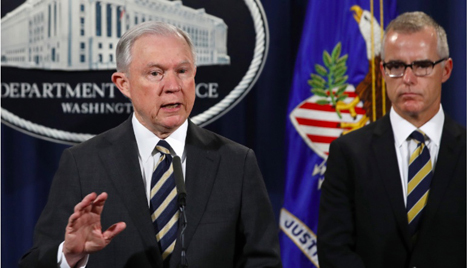 Explained which terrorist groups lined up with which religious philosophies … Sessions believed that Islam—inherently—advocated extremism. The director tried to explain that the reality was more complicated … He seemed to lack basic knowledge about the jurisdictions of various arms of federal law enforcement. He also seemed to have little interest in the expertise and arguments that others brought to the meetings … I observed his staff to be somewhat afraid of him—reluctant to voice opinions because they did not want to make him angry. Then there’s the president: “In July 2017, the White House requested a briefing for the president on the Russian dachas … Both of them were closed in December 2016 at the direction of the Obama administration, as part of the sanctions placed on Russia for Moscow’s sustained interference in the 2016 U.S. presidential campaign. By the following July, the sanctions were about to expire, and the Trump administration had to decide whether to allow the Russians back into these properties or not. This was an important issue to the FBI, because we believed the Russians had used the dachas for intelligence purposes, not just as sites for diplomatic recreation … an administration official told a member of my staff that I should not attend. For good measure, the official added that ‘they’—unnamed powers in the White House—had decided to get rid of me as soon as a new director was in place … I decided that I would delegate the job. The briefers returned to the Hoover building when the meeting was over, and one of them came to my office … he was dumbfounded. “I remember asking, How did it go? and watching him shake his head in response, then explain that the briefer on the dachas spoke for no more than a few minutes. For practically the whole rest of the meeting, the president talked nonstop … North Korea had recently conducted a test of an intercontinental ballistic missile, potentially capable of striking the U.S.—Kim Jong-un had called the test a Fourth of July ‘gift’ to ‘the arrogant Americans.’ But the president did not believe it had happened. The president thought it was a hoax. He thought that North Korea did not have the capability to launch such missiles. He said he knew this because Vladimir Putin had told him so. McCabe offers interesting insights into the Hillary Clinton email affair and Comey’s decision. He adds important information about the supposed Peter Strok and Lisa Page conspiracy—and even though he is limited by his intention to sue, some important information about his firing. Meanwhile, in the midst of continuing chaos, McCabe does his best to convince Rod Rosenstein to appoint a special counsel. And when it becomes apparent that like his predecessor, Jim Comey, his days are numbered, he works extraordinarily hard to make sure their investigatory work will continue on. If there’s one thing I’ve learned from “The Threat,” it’s that, because the stakes are so high, the process is especially important to folks like Comey, Mueller and McCabe. The need to figure things out, to adequately assess threats, to intercede in time and stop what could easily be devastating attacks is so very critical. 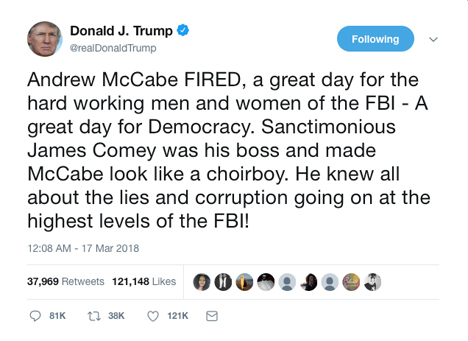 And McCabe has clearly developed a certain modesty along the way, a willingness to acknowledge mistakes, to right wrongs in the service of both more efficiency and justice. I’ll leave you with a last look at the pettiness of our president. He called McCabe to arrange a visit to FBI headquarters: “After we agreed on a time to meet, the conversation turned in another direction. The president began to talk about how upset he was that Jim Comey had flown home on his government plane from Los Angeles after he had been fired. “I told him that I had talked to Bureau lawyers … Even though he was no longer the director, the existing threat assessment indicated he was still at risk, so he needed a protection detail on his trip home. Since the members of the protection detail would all be coming home, it made sense just to bring them back on the same government plane, the one they had used to fly out there. The plane had to come back anyway. “At this, the president flew off the handle: That’s not right! I don’t approve of that! That’s wrong! He reiterated his point five or seven times. I said, I’m sorry that you disagree, sir. But it was my decision, and that’s how I decided. “He said, I want you to look into that! … The president asked, Will Comey be allowed into the building? Will he come back in, to get his personal stuff out of his office? I said I didn’t think he planned to come in. His staff was going through his office and packing his personal effects, which would be taken to his residence. The ranting spiraled: I don’t want him in the building. I’m banning him from the building. He should not be allowed, I don’t want him in FBI buildings. I waited until he had talked himself out. “Finally, toward the very end of the conversation, he said, How is your wife? I said, She’s fine. He said, When she lost her election, that must have been very tough to lose. How did she handle losing? Is it tough to lose? I replied, I guess it’s tough to lose anything. But she’s rededicated herself to her career and her job and taking care of kids in the emergency room. That’s what she does. On Dec. 19, 2017, McCabe testified before the House Permanent Select Committee on corroborating Jim Comey’s version of the president’s attempts to get Comey to stop the investigation of Michael Flynn. 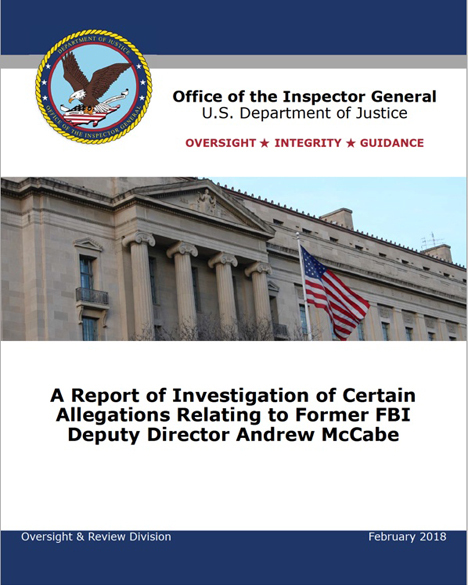 It was thought that the inspector general’s report on McCabe and the Hillary Midyear investigation would be released the following spring. But after McCabe’s testimony, the inspector general informed one of his staff members that the report on McCabe would be out sooner than expected. “In January 2018, after conferring with the IG, Chris Wray called me in to a one-on-one meeting on a Sunday night and demanded that I leave the position of deputy director—but also asked that I announce I was stepping aside voluntarily. I refused to make what I considered to be a false statement and instead went out on leave, intending for this to last until my retirement. 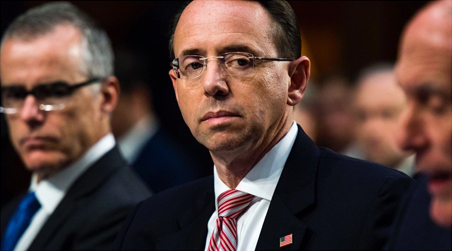 One can only hope they are never on the receiving end of what the highest officials in the FBI, DOJ, CIA, NSA, IRS, other agencies, AND THE MEDIA, have done in the name of “pursuing justice.” What has been done by these agencies and media,over the past 2 1/2/ to 3 years can be accurately described as CORRUPTION – pure and simple. It was deliberate. It was coordinated. and it was ILLEGAL. That includes all those who were paid to promote the fiasco as being a legitimate investigation. It has finally been revealed that there was ZERO, ZILCH, NOTTA, NO Trump/Russian Collusion. Any sensible person could understand the angst that Hillary supporters felt when she lost an election, that she should have won. Instead of recognizing that she simply did not even bother to campaign in some critical states, believing the pre-election polls that she had it in the “bag,” and instead of accepting the results of an election, the “DOOKSTER” and the rest of those who have been officially diagnosed with Trump Derangement Syndrome, carried on a deceitful campaign to undo an election via CORRUPT means. So many high ranking officials, aided continuously by media people at all levels of the media spectrum actually did collude in their attempt to take down a man who was elected to be our President. It is now time to appoint a Special Prosecutor to investigate, and, as was done with the “Mueller Investigation,” let it go wherever it leads. If we don’t, what sensible person in American will ever be able to trust important agencies AND, The Media ever again. For you with TDS, let me repeat again, there was no Trump/Russian collusion. Period. You have no idea what Mueller found because you haven’t seen the report. What you are referring to is Attorney-General Barr’s opinion of the report. He has already said he doesn’t believe a sitting President can be indicted for obstruction. Not that any of this means anything to you. Nor do you appreciate the incredibly limited interpretation Barr offered re collusion. You have made your mind up a long long time ago. And yet you continue to insult people who don’t agree with you … I have deceived no one. Perhaps if you actually read what I’ve written you’d figure that out. Sorry, Dookster, but it is you and your ilk, who made up your minds a long time ago. No Trump/Russian collusion means what it says. Got it? Maybe you can impeach him for “mean” tweets. Robert Mueller recommends no further indictments, because no American was found to have conspired, nor coordinated with Russian Government in any respect to interference in 2016’s Presidential election, including the 45th President of the United States, as well as all members of campaign. It is now time to investigate the investigators…. •	March 2016: In Europe, Trump campaign aides George Papadopoulos and Carter Page begin having encounters with foreigners who talk up Russian interest in Trump’s election. •	June 9, 2016: Trump Tower meeting — Donald Trump Jr., Jared Kushner and campaign manager Paul Manafort seek Clinton “dirt” from Russian sources. •	June 20, 2016: British ex-spy Christopher Steele, as part of opposition research for Hillary Clinton campaign, reports that Russians “compromised” Trump. •	July-October 2016: WikiLeaks releases e-mails taken from Democratic National Committee accounts. Trump adviser Roger Stone attempts to contact WikiLeaks’ Julian Assange. •	July 2016: FBI’s “Crossfire Hurricane” investigation into Trump campaign begins based on reports of Papadopoulos’ overseas conversations. Trump in speech asks Russia to “find” Hillary Clinton’s “missing” e-mails. •	Oct. 21, 2016: Using Steele’s dossier, FBI obtains FISA warrant to monitor Page’s communications. •	Dec. 29, 2016: Michael Flynn, now adviser to President-elect Trump, discusses Obama-administration sanctions with Russian ambassador. •	Jan. 9, 2017: BuzzFeed publishes Steele dossier, now known to be dubious. •	May 9, 2017: Trump fires Comey. •	May 17, 2017: Mueller is appointed as special counsel. •	July-August 2017: Mueller removes team members Lisa Page, a DOJ lawyer, and Peter Strzok, an FBI agent, when he learns they exchanged months of anti-Trump texts. •	Oct. 30, 2017: Manafort and former campaign aide Rick Gates indicted. Papadopoulos takes plea deal. •	Dec. 1, 2017: Flynn takes plea deal. •	Feb. 16, 2018: 13 Russians and three Russian companies indicted for attempting to interfere with 2016 election via social media. •	April 9, 2018: Trump lawyer Michael Cohen’s office raided. •	July 13, 2018: 12 Russian intelligence officers charged with hacking DNC e-mails published by WikiLeaks. •	August-September 2018: Guilty pleas for Manafort and Cohen. Cohen enters “cooperation agreement” with feds. Both later sentenced to lengthy prison terms. •	Nov. 20, 2018: Trump submits written answers to Mueller’s questions, reportedly pertaining to possible obstruction-of-justice charges. •	Jan. 25, 2019: Stone arrested. •	Feb. 27, 2019: Cohen testifies before Congress. •	March 22, 2019: Mueller submits his final report, 674 days after his appointment. This book has been out for several weeks and was widely reviewed. I go to the Edge for local news. This seems out of place and unnecessary. How about more local stuff? We can’t even get a copy of his taxes from this pure as snow Donny guy ! Russia donated ZERO $$$$ to the Trump campaign. Russia donated $145,600,000 to the Clinton Foundation. Trump was investigated for almost 3 years with ZERO collusion established. ZERO. So far, no meaningful investigation into the Clinton Foundation. Tell us again how the DOJ and FBI are not corrupt. And, since you “believe” in equal justice for all, when will you begin supporting a complete investigation into the entire phony Russian Hoax? I won’t hold my breath waiting for TDS sufferers to push for “Social Justice,” or for that matter REAL justice, under the law, which should be applied to everyone EQUALLY. NO finger (or in the case of the DOJ & FBI a foot) on the scales of justice….